This tutorial is intended for total beginners and I mean total nubbycakes who don't know a thing about drawing. If you're an awesome artist, or consider yourself even slightly competent, then go away fast because this tutorial is not for you and you might even consider it an insult to artists everywhere or something like that. First of all, I am a hobbyist and I consider myself fairly competent, but what I will be teaching here are some very basic and sometimes even "wrong" techniques intended to help people who are totally beginners just get started and interested in drawing after they see that you can make something really nice looking fairly easily. Ok, with that said, let us begin. First of all, you'll need the basic materials: Pencil, Paper, Eraser... that's it. You can use whichever kind/brand of pencil and eraser that you're comfortable with. Personally, I'll be drawing on my sketchpad using a 0.5 mm mechanical pencil and an ordinary rubber eraser. Human figures are generally 7 heads tall and while Nagi is probably a bit shorter than that, I'd like to go with just within 7 heads so first, draw 7 ovals lined up vertically and try to make sure that they are more or less the same size. 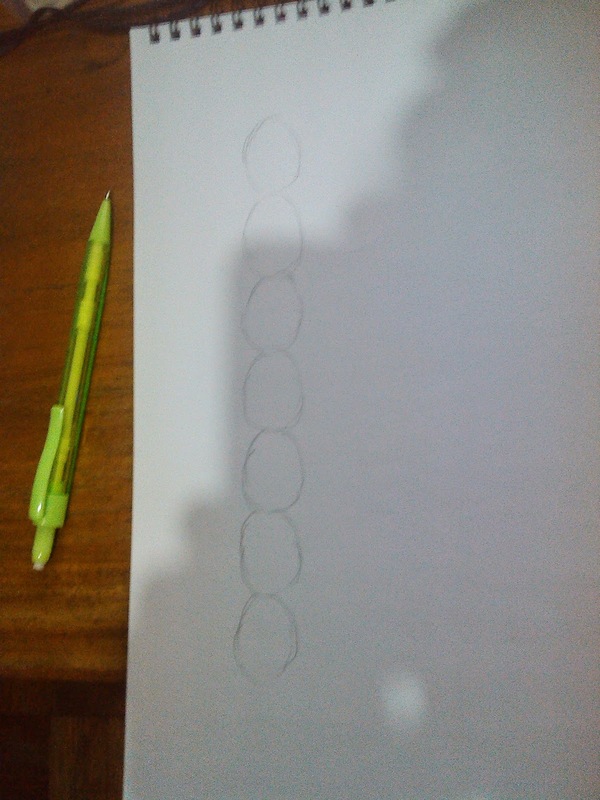 Now that we've established the height of the drawing, we'll start with drawing Nagi's head and we begin to the side of the topmost oval of the height chart that we've established with a semi-circle... actually, just make sure that you leave a short gap at the bottom-center of the circle. 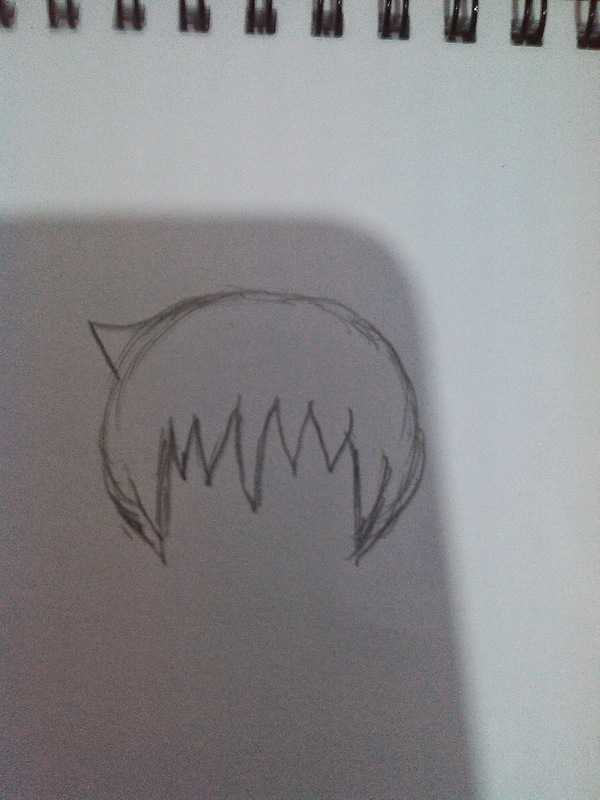 This is actually Nagi's hair that we're drawing. Remember to use light, fast strokes at this stage and don't be afraid to use multiple strokes in order to establish a line. Also, do lots of erasing until you think you've got it just right. At this stage, it helps if you have a reference pic of Nagi, but if you don't, just stick to the instructions and you should get it right. 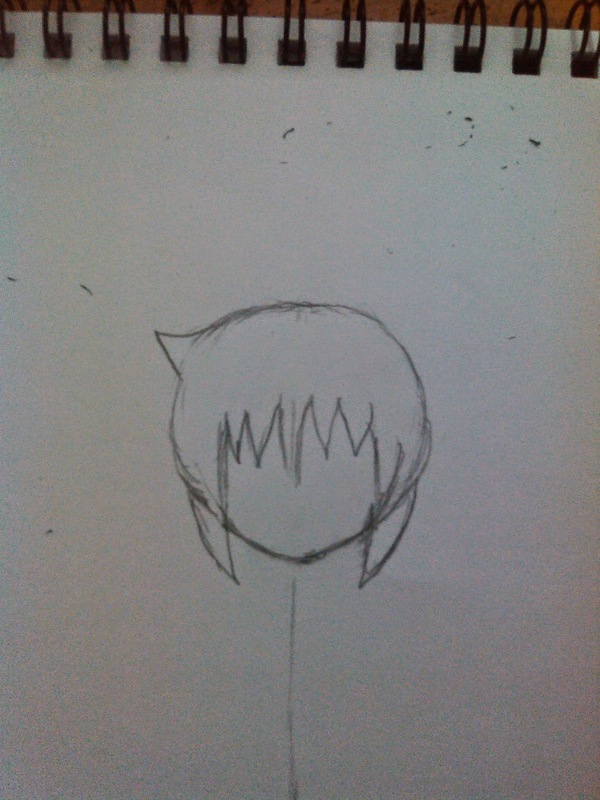 Draw in the details of her hair, but don't add in any shading just yet. 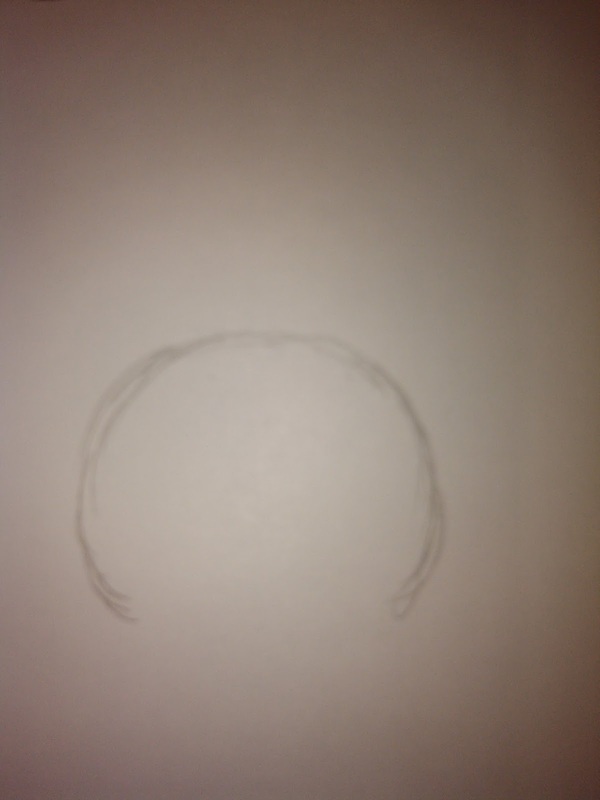 Use the semi-circle that you drew earlier as a guide to establishing her hair. Make sure that her bangs aren't too high nor too low and pay extra attention to that large tuft of hair at the very center of her head. Also don't forget her ahoge sticking out at the left side. 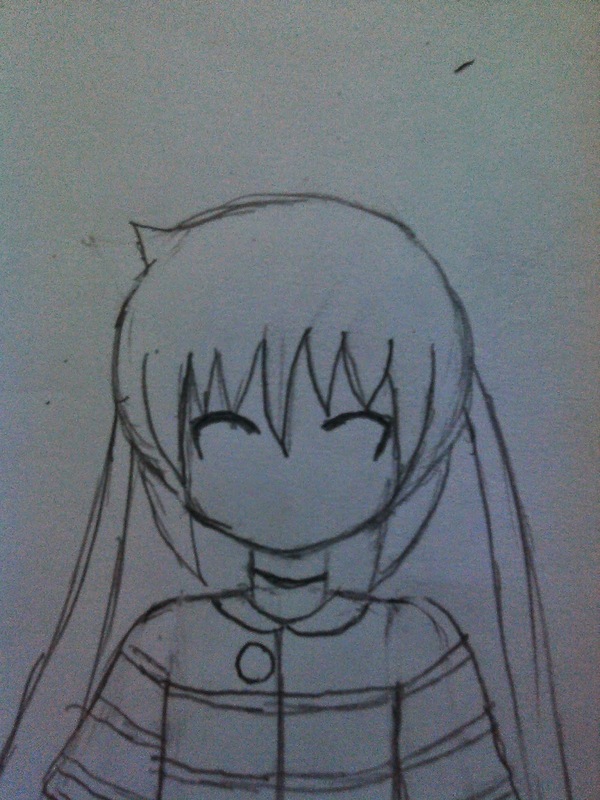 Nagi has extra long fringes at the side, so we'll actually use this as a guide to establishing where her face should be. 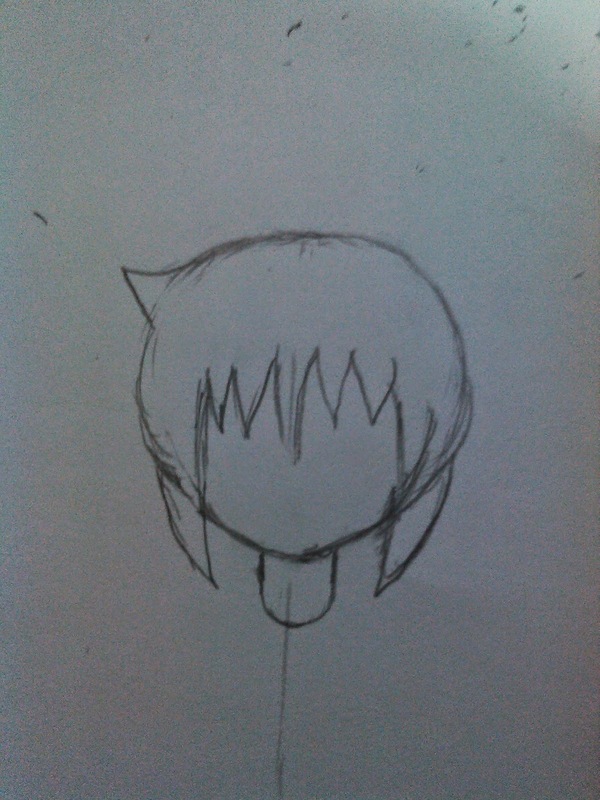 First of all, draw those extra fringes in like in the image below and draw in the shape of her face at the points where you added in those extra fringes. You can either make her face more rounded or sharply angled like I did, just make sure that you make it at least a little bit round since her face isn't a full triangle after all. 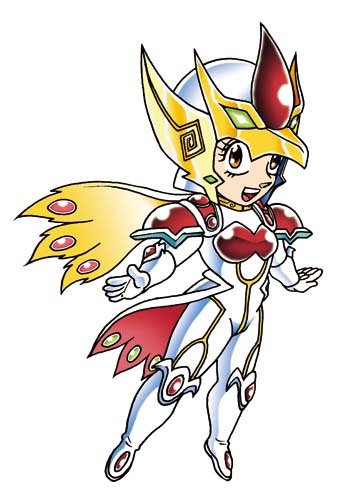 Now just draw in a slightly extend U shape for her neck and we're down with the head for now. 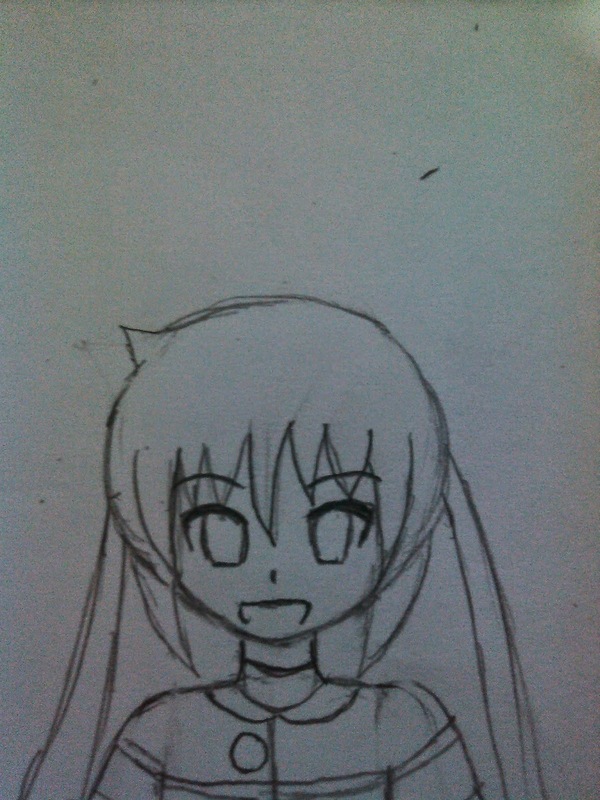 We'll add in her twin-tails later. At this point, you should draw a straight vertical line from the center of her face all the way down to the point of the last oval in the height chart we've established earlier. 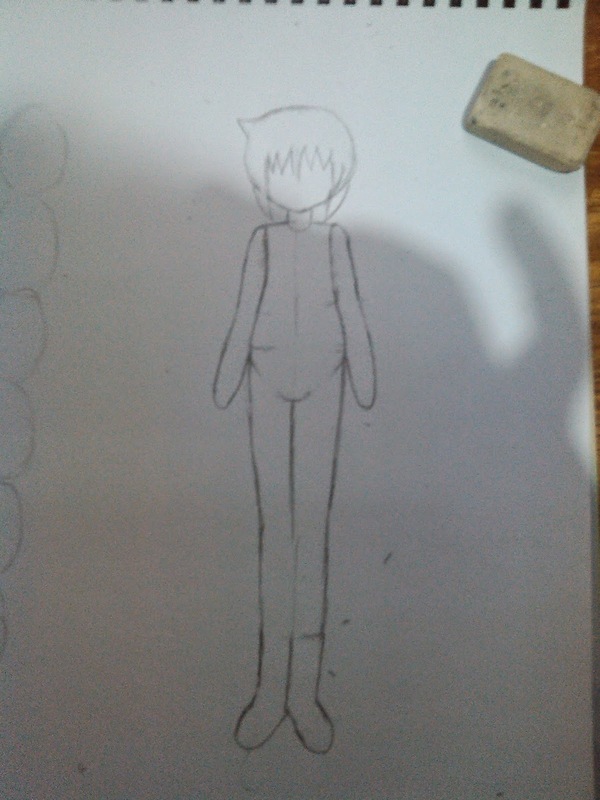 With that in mind, draw in the basic shape of her body, but please don't draw in any details at this point. Respect our lovely little ojou-sama, you! You can use the height chart as a guide as to the length of her legs or you can make her about 1 and a half head shorter than the height chart. It's your choice. As you can see, I didn't draw in her arms and shoulders yet. 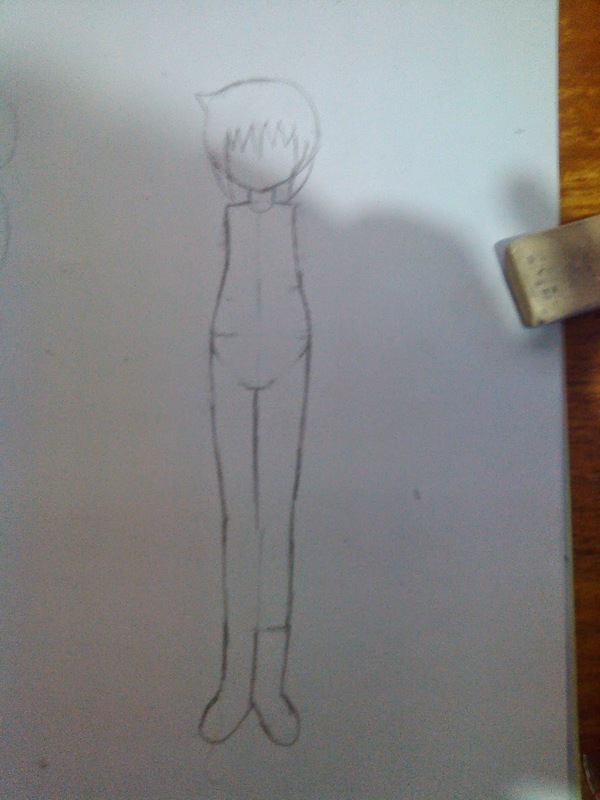 Draw in the basic shape of her body first. Don't try to draw in long, straight lines. Use shorter, quick strokes and make sure that you're thinking of putting 3D (spheroid) shapes together when you draw and not just blindly copying what I've done here. Think of each area of her body as a different spheroidal shape. Her chest area is pretty small and then she gradually gets bigger around her stomach area and is widest along her hips. You can draw straight line to mark the area in-between her legs and the legs themselves should be made up of two parts each separated along the knee and they tend to taper towards the center mass of her body. At this point, I actually made a mistake and made her feet a little too long. We can fix that later as long as the basic shape of her body is fine. So let's move on and draw in her arms and shoulders. When drawing her arms and shoulders, try to make sure that they are relatively the same size and length from side to side. This is where most artists (myself included) goof up. Fortunately, it's easy to fix that in photoshop nowadays -- still, it's a good idea to make your rough sketch good so that it's easy to spot and fix problems later. Now let's move on to the hands. 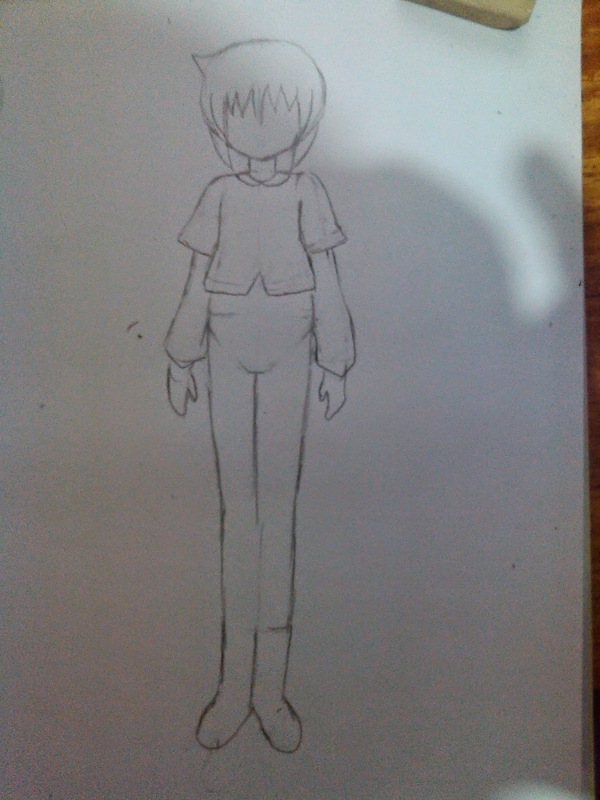 The hands should be at around thigh level, so keep this in mind when drawing them. For the hands, you'd need a really detailed tutorial to make good hands, but for now, just follow the shape that I've drawn in here. Basically, make an opposable thumb and then don't bother with the rest of the fingers and just imagine drawing a spoon or a spade turned slightly to the side... huzzah! We've now established Nagi's lovely lolilicious body! Take a little break and congratulate yourself! We're going to start drawing in her clothes now. 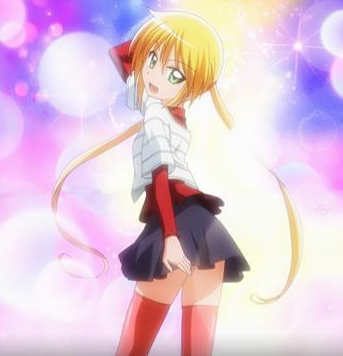 You can draw her in other clothes if you'd like, but I'm personally going with this outfit from season 2 of the anime. 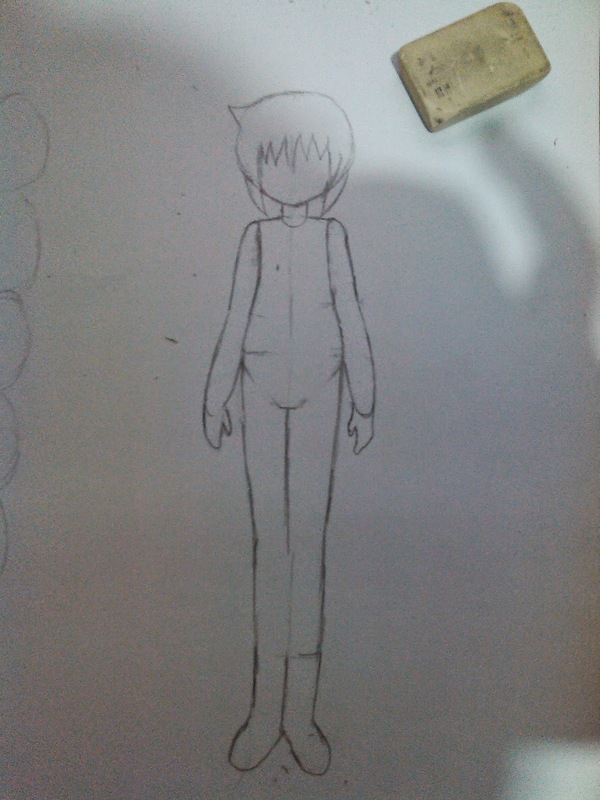 To start things off, draw in the basic shape of her overcoat and her sleeves like I've done here. Don't draw in any details just yet and make sure that you actually drape the clothes over the frame of her body. You can erase some of the lines for her body to make room for the clothes at this point. which is sorta pleated and should be flowing away from her body at an angle. Make sure that her skirt is in front of her sleeves as well. 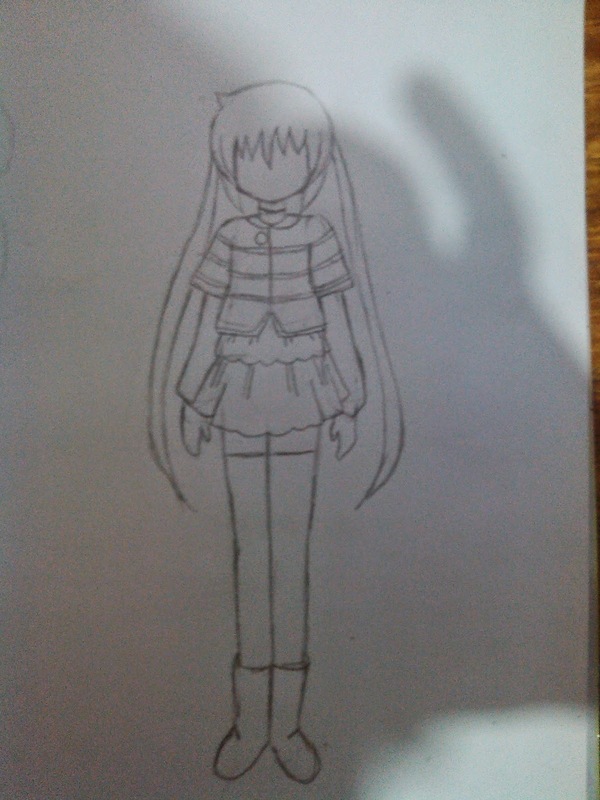 Also draw in some simple lines to establish her thigh-highs and her boots, which should be a bit larger than her feet. At this point, you can now add in her iconic twin-tails. Remember that Nagi's twin-tails are long and slightly wavy but very thin. The twin-tails start at just above ear-level. They should also end just above knee-level, but you can make them longer or shorter if you wish. At this point, it's beginning to look very Nagi-like, right? If it doesn't, then you did something wrong! Anyway, it's time to add in the details of her clothes like the buttons, the extra lines on her shirt, overcoat and skirt. You can also fix any errors that you might have made with her hair and face earlier. Try to pay attention to the horizontal proportions, as this is where most newbie artists (myself included) tend to make errors. Now it's time to draw in Nagi's cutieful face. At this point, many would recommend using guide lines, but I find that they just don't work for me. Anyway, first, we'll start with her eyes. Draw the basic shape of her eyes. They should be one eye-length apart. Imagine as if you were drawing two small sickles with the blades facing each other. Draw in her irises. Just draw two slightly curved lines downwards. You can draw a straight horizontal line to tend them. Make sure that the eyes are level and don't be afraid to make adjustments to her face at this point if you feel that you've made some errors somewhere. Once you're satisfied with the eyes, just draw in the eyelashes, her nose (which is just a slightly elongated point) and her mouth. You can draw her mouth any way that you want. Even just a straight horizontal line will do. A few more details on her eyes and she's done! Congrats! You've just drawn Nagi! Now it's time to fix the image up a bit and add some shading. Take a good long look at the image and see what you can fix up and shade in any areas that you feel need some definition. I personally shaded in her skirt and sleeves along with her thigh-highs. 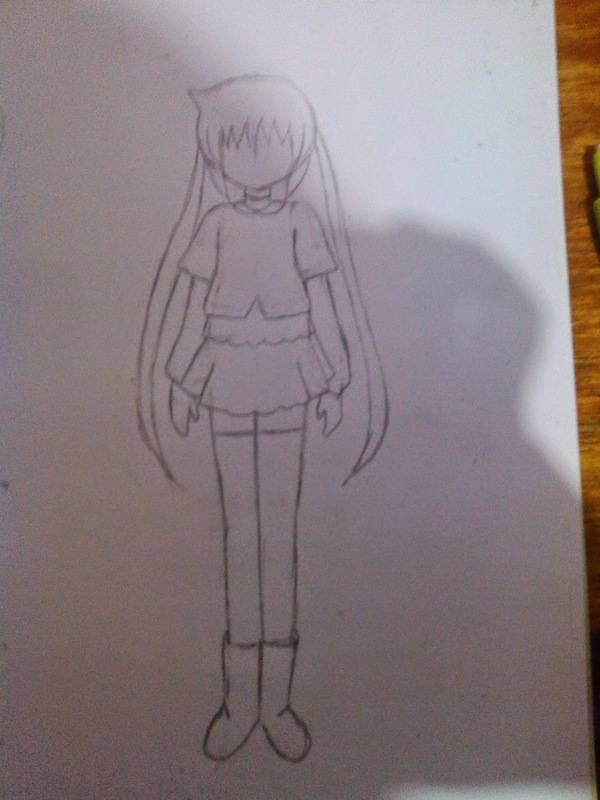 Of course, as you can see here, her legs are bit too long and she seems a bit too tall to be Nagi. This is a scanned-in image. So... we just reduce her boots a little and make the appropriate adjustments to her legs and we are done! Congratulations! 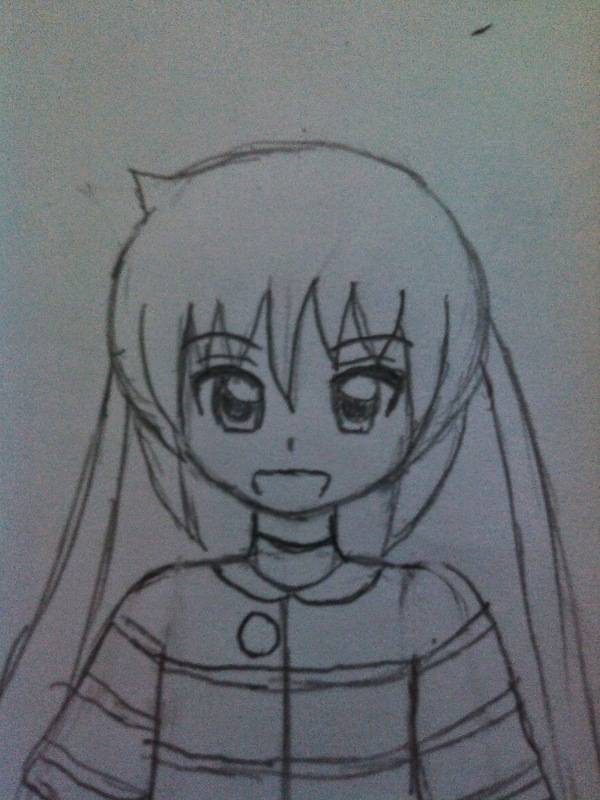 If you've followed the instructions so far, you should have a passable looking Nagi drawing. It's worth noting that many of the principles I've taught here can be used for drawing other anime characters -- especially ones with character designs as simple as Kenjiro Hata-sensei's. I hope you enjoyed that and if you liked this tutorial, do tell me so that I can continue this series and we'll digitally line and color in Nagi together (in Photoshop) next time. Edit: By the way, you can use these principles to draw Hina as well. She has the same body type as Nagi except that she's slightly taller. 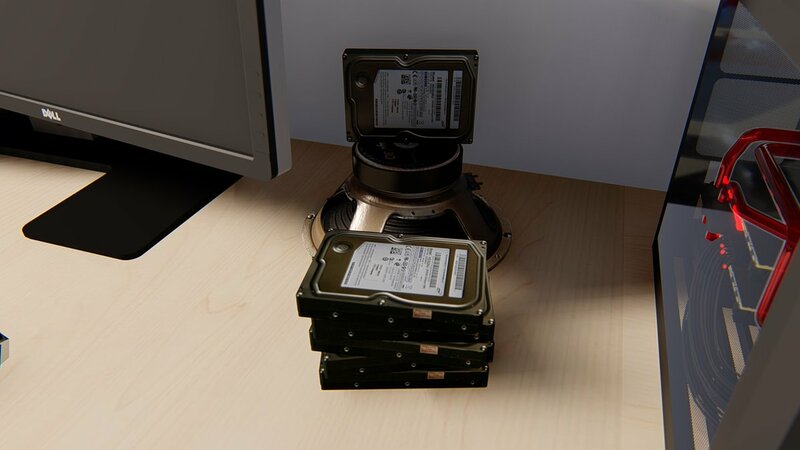 Thanks for the nice (and easy) tutorial! I wanted to draw (by hand) some characters from manga/anime/LN (primarily "Hayate no Gotoku!") but was unsure how to begin. Thanks for the encouraging comment! I'm glad that you found this tutorial useful and remember that you can use these principles for drawing other characters as well. I'll definitely try to continue this series.